SLR Lounge is an amazing online resource for photographers. Yesterday they released a special list of the Top 100 Wedding Photographers of 2016. We are so happy to be included with so many of our colleagues and close friends – which is practically the entire list. This is a team win for Callaway Gable! Way to go Lauren and Allison (and me)! 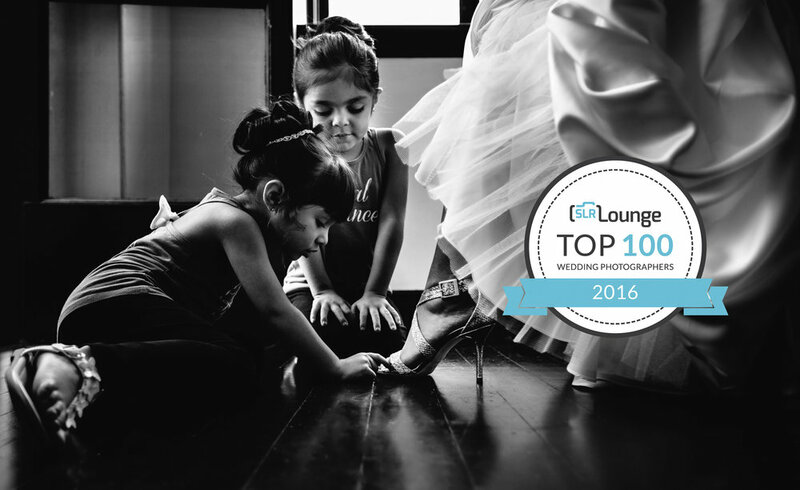 The Top 100 Wedding Photographer list by SLR Lounge is exceptional. In the blog post announcement, they specifically detail the 4 steps they used to identify the top studios. It looks like they put a ton of effort and care into creating an objective list of vetted industry leaders (no one pays to enter this or to be on the list). Way to go guys! This is excellent work! You can read about their entire process here: 100 BEST WEDDING PHOTOGRAPHERS IN THE U.S. AND CANADA FOR 2016. Allison, Lauren and I are especially thrilled that SLR Lounge cites Callaway Gable as an example of photographers who are skilled at Timing and Emotion Capture – photographers who create emotional photojournalism. Why? This is a part of our collective skill set that we have been working very hard on for the last few years. Thanks for recognizing that SLR Lounge – it means the world to us!